Classic mid-century duplex just 2 blocks to Lake Harriet! 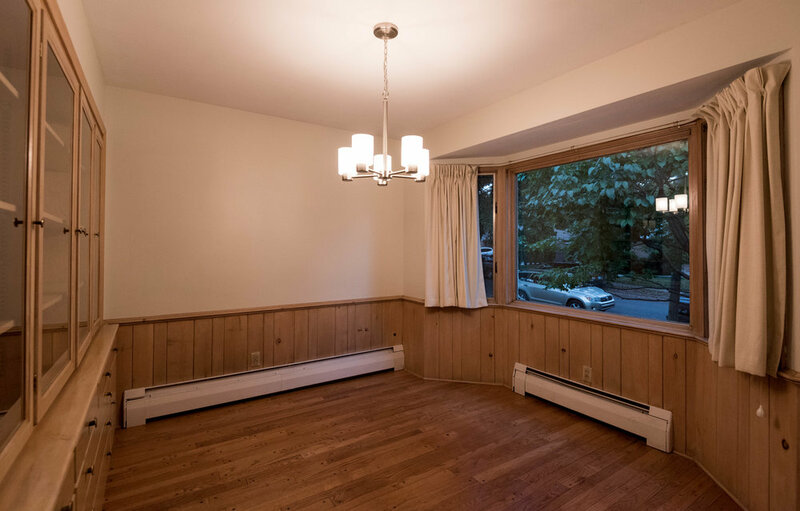 This 3 bedroom / 2 bath unit boasts a large living room with wood-burning fireplace, formal dining room with built-ins. Hardwood floors and fresh paint throughout. Kitchen features granite countertops, new appliances and ample cabinetry. 3-season sun porch. Huge lower level with family room, bedroom, ¾ bath, laundry room and plenty of storage space. 1 car garage. Nestled near the shores of Lake Harriet, this home is an easy walk or bike ride to the shops and award winning restaurants of downtown Linden Hills, the business corridor of 50th & France, Beard’s Plaisance or Pershing Parks, Minnehaha Creek and the trails and gathering spaces of Lake Harriet and the Grand Rounds Scenic Byway. This apartment includes 1 underground garage parking space and free in-unit laundry. Tenants pay heat, electric. Landlord pays water, sewer, trash, lawn care and snow removal. 1-year lease. $45 application fee / per person. Pets welcome (with $250 non-refundable deposit).